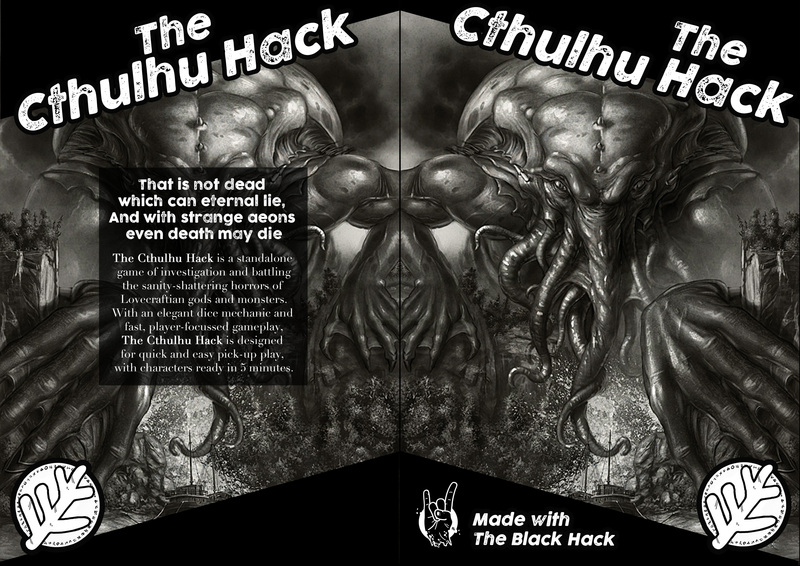 I have proof copies incoming from two sources for The Cthulhu Hack, and I’m looking into other alternatives. A wraparound affair that uses the front image in a mirror version for the back – along with a little blurb. One of the proof copies is perfect bound, the other saddle. I have a liking for the saddle, but ultimately we’ll see. I continue to seek alternatives for a better quality – and a hardback version. The hardback would have to wait for more material. I would likely add material from one or two upcoming supplements to make the hardback worthwhile. I’m pondering get a physical copy of From Unformed Realms sorted out for conventions and sale through the All Rolled Up web store. Currently also sourcing a possible cover image for The Haunter Hack. However, the whole focus of this supplement still hangs in a bit of a creative limbo – I’m not 100% sold on what works for the best. Ultimately, it’s about getting a Cthulhu Hack adventure together using existing material and the process you might go through to do that using The Haunter of the Dark as a base. This is about rooting out the Saves and highlighting the Resource rolls. Expanding narrative and structuring an adventure for one-offs, convention games and beyond. I have spent the whole weekend going through the text of the short story for the umpteenth time. 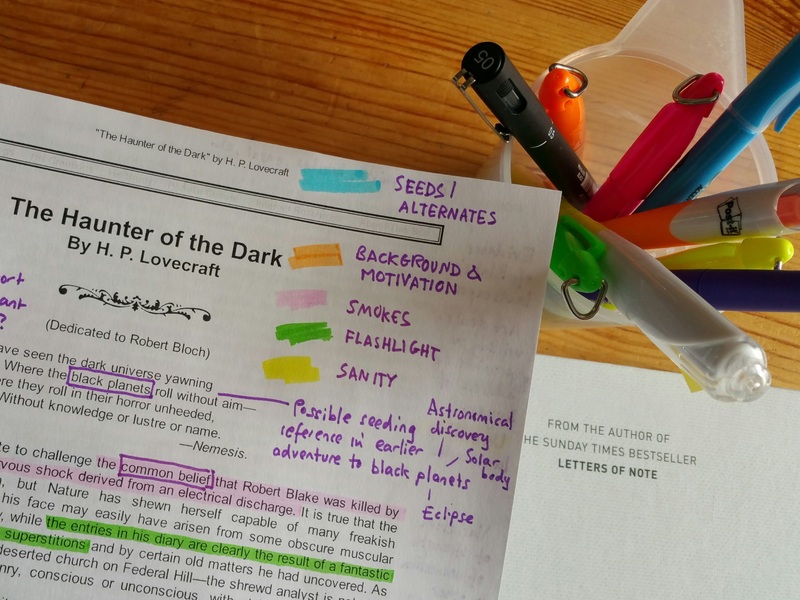 Considering this was Lovecraft poking fun at another author, I have been having great times with it – stretching the angles out and unraveling the potential. Raw text running to a couple of dozen pages at the moment and not nearly finished yet. Seems likely to run to about the same length as the core book in the end. The symmetry and minimalism is perfect! As a consumer(can’t wait to order!) I really get to see Cthulhu in all his glory while being intrigued by the typeset and the synopsis.